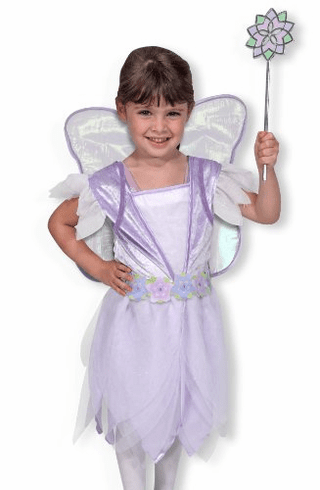 Magically expand your child's imaginative play with this enchanting fairy dress and accessories. A flower and ribbon belt provides the finishing touch to the velvety bodice and tulle-accented sleeves and skirt on this pastel outfit. With shimmering wings and a shiny wand to complete the ensemble, let the adventures begin.